In the fall of 2009 the Fellowship of Catholic Scholars honored Sister Sara Butler, a professor of dogmatic theology at St. Joseph’s Seminary in New York, by awarding her the Cardinal Wright Award for “outstanding scholarly service to the Church.” She was honored for her book The Catholic Priesthood and Women. In the 1970s Sr. Sara supported women’s ordination, but in the 1980s she started writing in defense of the Church’s teaching. This book is a culmination of her many articles on the topic. In the early 1960s Haye van der Meer, under the direction of Karl Rah­­ner, helped launch the women’s ordination movement by publishing a compilation of negative evaluations of women from Church history. It appeared as if women had been unjustly excluded from the priesthood due to ecclesial misogyny. Besides Rahner, other prominent theologians of that era, such as Hans Küng and Edward Schillebeeckx, advocated women’s ordination and framed the question in terms of equal rights. As the controversy unfolded, Rome issued three major documents explicating traditional teaching. In Ordi­natio Sacerdotalis (1994) Pope John Paul II gave both the “fundamental reasons” for the Church’s teaching and the “theological arguments” supporting it. He showed that the reservation of the priesthood to men belongs to “settled doctrine” and that there exists “no authority whatsoever to confer priestly ordination on women.” He said the matter was settled and asked for the “definitive assent” of Catholics. Sr. Sara explains the development of the Church’s social teaching on women in response to the growth of radical feminism. Since the nineteenth century, popes have supported women’s access to higher education and their involvement in culture and politics. Pius XII identified “personhood” as the foundation of women’s dignity, yet he included woman’s sexual identity in the meaning of “person.” Paul VI warned of the “false equality” leading to the disregard of the “proper vocation” and needs of women. The revised Code of Canon Law (1983) allowed women to serve in many new capacities in the Church, such as teaching theology and canon law in seminaries and serving as judges in Church tribunals. 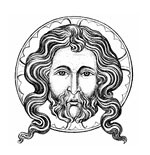 The Vatican’s interdicas­terial instruction Ecclesia de Mys­terio (“On Certain Questions Regarding the Collaboration of the Non-Ordained Faithful in the Sacred Ministry of the Priest,” 1997) declared that baptized men and women “have the same juridic status in canon law” and share equally in the common priesthood of the baptized, though they do not have equal access to holy orders. Sr. Sara also explains the “fundamental reasons” behind the Church’s “unbroken and unanimous” tradition of reserving the priesthood to men. As far back as the third century, Irenaeus and Ter­tullian denounced gnostic and Mar­cionite heretics for letting women perform priestly functions. In the fourth century St. Epiphanius of Salamis condemned the Monta­nists for claiming that the difference between the sexes had been abolished in Christ, and for consequently ordaining women as presbyters and bishops. St. Epi­phanius pointed to our Lord’s deliberate choice of twelve men as Apostles and added that if a woman could be ordained, “it would have been more proper to Mary than to anyone else in the New Testament to exercise a priestly role.” Not only did our Lord include no woman among the twelve, but the Apostles did not appoint one among their successors. The tradition of the Church is unbroken, and the fundamental reason behind it is the will of Christ. Some feminists have argued that Jesus was conforming to cultural expectations in choosing only men as His Apostles. On the contrary, Jesus’ way of acting did not conform to “the religious and cultural norms of first-century Judaism.” He taught women openly, had them in His company, and disregarded the ritual-purity laws. Therefore, He could have chosen women, but “freely chose” not to. John Paul II declared in Ordinatio Sacer­dotalis that our Lord acted with “sovereign freedom” and solemn deliberation when He selected the twelve. He spent the previous night in prayer before choosing “those whom he wanted” (Mk. 3:13-14; Lk. 6:12), a choice that Scripture attributes to the Holy Spirit (Acts 1:2). The Church sees in this choice the fulfillment of the divine plan, not a response to sociocultural constraints. She sees in it the expression of the Savior’s will for the ordained ministry. Moreover, though many Jewish practices were abandoned as Christianity spread across the Gentile world, there is no proof that a woman ever received a commission from the Apostles or their successors by the “laying on of hands.” Our Lord’s way of acting was the norm for the early Church. Ordinatio Sacer­­­dotalis concludes that this is our “permanent norm,” a “doctrinal tradition that pertains to the deposit of faith” and to the “essential constitution of the Church.” Just as nothing else can be substituted for bread and wine in the Eucharist, so the Church has no authority to change what our Lord designated as the “outward sign” of the Sacrament of Holy Orders, a sacrament instituted by the call of the twelve. Sr. Sara shows that the tradition of reserving priestly ordination to men meets the three criteria of the Council of Trent for Verbum Dei traditum (the word of God handed on as tradition): (1) the Gospel is its source; (2) it was received by the Apostles from Christ; and (3) it was preserved without interruption in the Church. The reservation of the priesthood to men, therefore, is not a matter of “discipline” or Church law that may be rescinded, but is “theologically certain” and a “doctrine of faith.” While opposition to the Church’s teaching has continued since 1994, the “ecclesial reality” is that the debate is closed. The Catholic Priesthood and Women is a splendid and much-needed work. The Church’s teaching needs to be explained because it requires “the full and unconditional assent of the faithful.” In writing her book, Sr. Sara Butler has given us a thorough and invaluable explanation. Three cheers!